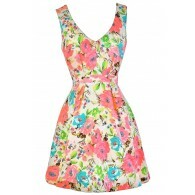 This floral print sundress with its bright print will instantly make a cheerful statement this summer. 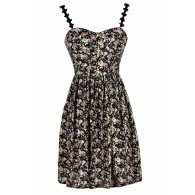 The Everything Is Blossom Capsleeve Floral Print Dress is fully lined and made of a comfy knit fabric. It has an ivory background with a bright print of pink, purple, yellow, teal, and orange flowers throughout. We love the timeless, flattering cut of this dress. It has a crossover V neckline, cap sleeves, an empire waist, and a flowy cut. 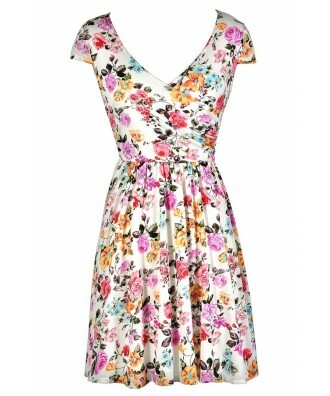 Wear this dress with wedges or heels for a Sunday brunch with family. 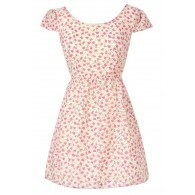 Or dress it down with flat sandals for a casual day look. 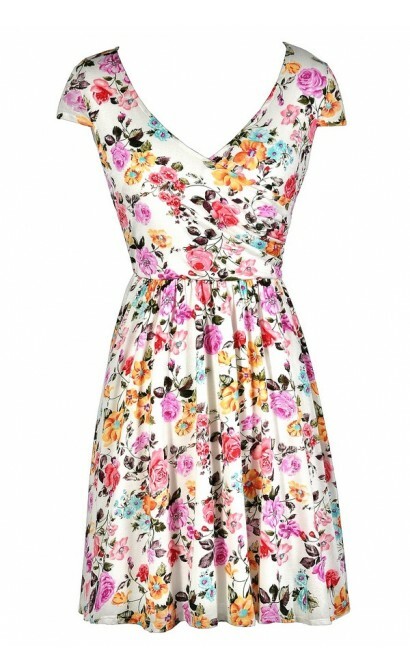 This is a cute dress to toss on any time you want to instantly look polished with minimal effort. Details: Fully lined. 100% rayon. Lining: 100% polyester. Hand wash cold water. Do not bleach. Color separate. Hang or line dry. Small measurements: Length from top of shoulder to hemline: 34". Bust: 32". 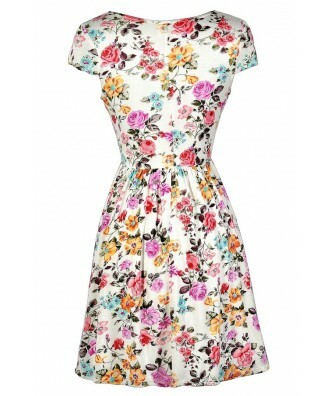 You have added Everything Is Blossom Capsleeve Floral Print Dress into Wishlist. 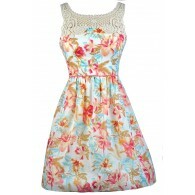 You have added Everything Is Blossom Capsleeve Floral Print Dress for Stock Notification. 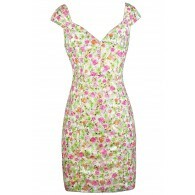 You have set Everything Is Blossom Capsleeve Floral Print Dress as a loved product. 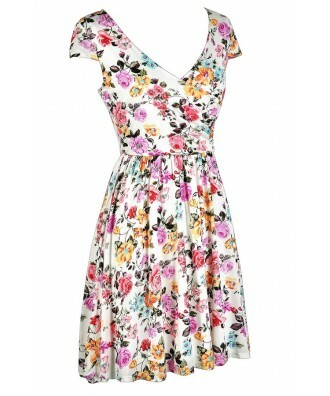 You have removed Everything Is Blossom Capsleeve Floral Print Dress as a loved product.